We’re excited for you to rediscover the power of the Rosary! 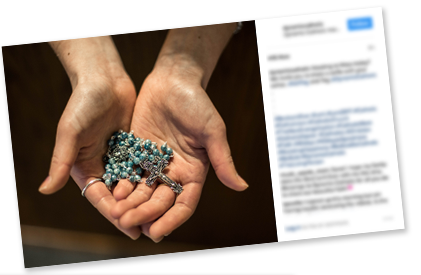 Every Rosary you pray will make a difference in so many lives, including your own. The Rosary can be even more powerful when you pray it with your family and friends. Invite them to join you and do something wonderful for our nation together. Share your experience on social media and invite your friends! Be sure to tag them.